PSV extended their Eredivise lead to five points with a 2-1 victory over bottom-club Excelsior. Rivals Ajax only managed a 2-2 draw with Vitesse Arnhem. 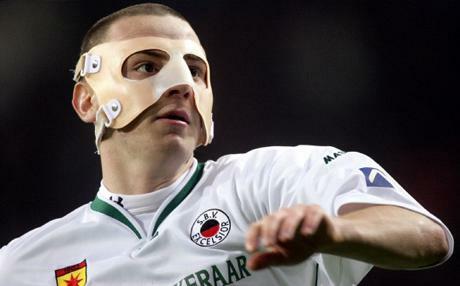 New boy Balazs Dzsudzsak opened the scoring for PSV and Geert den Ouden confirmed the win in the 81st minute. The real activity was at the bottom of the table though. Four of the bottom six recorded wins at the weekend. Most notable was NEC Nijmegen’s 2-0 victory over Utrecht, which was their first win since November 9. This video shows Heracles whipping fellow strugglers VVV Venlo 0-5. Don’t be scared, kids. It’s only Excelsior’s Aykuy Demir.